Intimately personal and inspiring, Bread for the Journey is a daily feast of fresh insight into the challenges and deep joys of a life lived in close communion with God. Nouwen is a wise, loving companion who invites us along as he finds joy in the community of loss, true freedom in forgiveness of others, and hope in surprising places. Each daily meditation is a stepping–stone along a path of private discovery, offering Nouwen's seasoned yet fresh ideas on kindness, love, suffering, and prayer, the Church as God's people, and the importance of Jesus in one's life–reflecting, as a whole, Nouwen's own 'personal creed.' 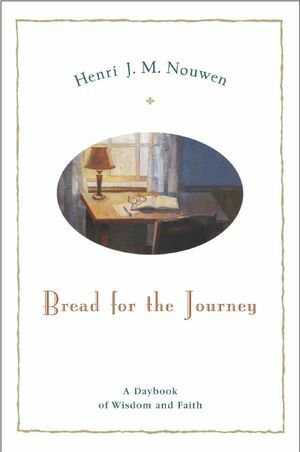 Bread for the Journey brims with daily nourishment and guidance for devoted followers and new friends alike –– food for thought on a yearlong journey of discovery and faith.